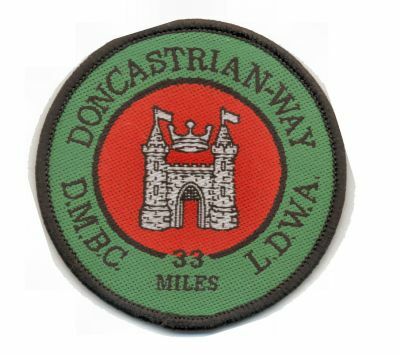 The route is crossed at intervals by regular bus bus routes to and from Doncaster which makes it possible to complete sections of the walk or to beat a hasty retreat if sore feet or aching limbs prevent further progress. A badge and certificate is available for successful completions at £2.00 plus SAE. Under no circumstances can either the Long Distance Walkers Association or the Vermuyden Group accept any responsibility or liability for any injuries or losses that may be incurred by any persons attempting this route. Nor can any responsibility be accepted for any damage or injury caused by anyone using this route. The route and the information regarding it is given in good faith, but it is the personal responsibility of every one who attempts the route to check the Rights of Way and ensure that they keep to them and their personal safety is their own responsibility. Anyone who uses the route is solely responsible for any damage to property or person that they might cause.